Find and open the Advanced System Setting in Windows 10 or MS Server 2016, to change important System Properties! You must be logged on as an Administrator on Windows to make most of these changes in system settings or as an account with admin rights. Here are three ways ergo solutions! 1.) ... Start the Advanced System Setting in Windows 10 via RUN-Command. 2.) ... Run Advanced System Setting via Windows-10 Desktop and This PC. 3.) ... Open Advanced System Setting via Control Panel! See also: ► Create a system image on Windows 10 ► Customize the pagefile.sys in Windows 10! 1.) Start the Advanced System Setting in Windows 10 via RUN-Command. Please run the command sysdm.cpl via Run Dialog in Windows 10. For example via Windows-Logo + R Keyboard Shortcut. In Window-10 System Properties, please select the Tab Advanced. PS: You can also use the command sysdm.cpl ,3 to directly switch to Advanced Tab! (Image-1) RUN-Command-Advanced System Setting in Windows 10! 2.) Run Advanced System Setting via Windows-10 Desktop and This PC. See also: ... show Control Panel, My Computer, Network on Windows 8, 8.1 Desktop and Win 10! (Image-2) Windows-10 Advanced System Setting via Desktop and This PC! 3.) Open Advanced System Setting via Control Panel! 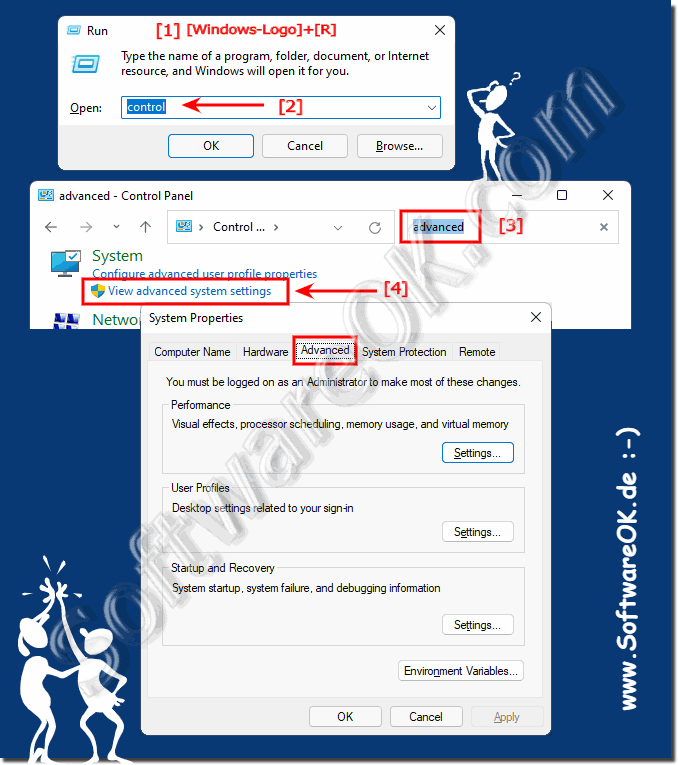 (Image-3) Windows-10 Open Advanced System Setting via Control Panel! The advanced system settings is the right tool to change the system properties, here are settings of visual effects, virtual memory, system startup, etc. this examples are also suitable for Windows Server 2016 and Web 2012 R2. Windows-10 - FAQ-10: Open Advanced System Setting in Windows 10 (three solutions)! How to remove APPs from Windows 10 Start Menu? Is an upgrading from Windows 7 or 8.1 to Windows 10 possible? How can I change / install / add the language(s) in Windows 10? How to find computer properties in windows 10? Windows 10 how to access system properties? Windows 10 advanced settings how to open setting in win 10 command window? See my computer properties on windows 10? How to see the propertied of laptop windows 10? Windows 10 run system properties from command? How to see computer properties in windows 10 or how to open win10 settings from cmd? How to open advanced system settings in cmd? Find computer properties in windows 10? How to see computer properties quick? Windows 10 opening sytem setttings, for Advanced settings? Where are advanced display controls in windows 10? Command for settings in windows 10, edge advanced settings? How to system properties in window 10? Windows 10 advanced system settings? Run open windows 10 settings? Advanced System Settings Windows 10? Find advanced system settings son windows 10 and Where is system properties windows 10? How to go to system properties windows 10? Open windows 10 settings from cmd? System settings suspended windows 10? How to find system properties on windows 10? Advanced system setting windows 10, where are this settings to find? How to open display properties in windows 10? 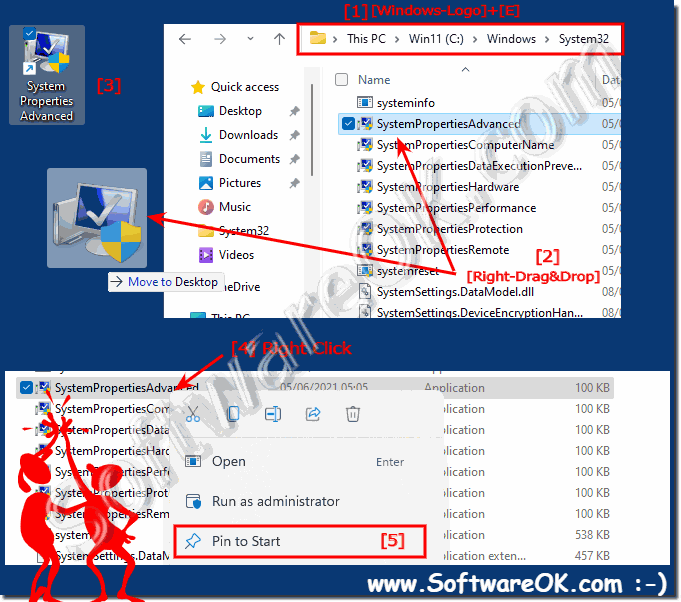 Advanced System Settings Windows 10 how to see property in windowa 10? How to get computer properties windows 10? Where are the settings for system properties in windows 10? Samsung setting in windows 10? What is windows 10 properties? Advanced system Setting windows 10 indonesia? Where is advanced settings in windows 10? Advanced system settings eindows 10? Windows 10 advanced display settings? Advanced display settings windows 10? How to open advanced system settings without going to my comp? Command for settings in windows 10? How to find the system graphic configuration in windows 10? How to see windows10 systemproperties? Windows 10 properties how to find? How do I get to properties on windows 10? Windows 10 advanced system settings and system properties tab in windows 10? How to see computer properties in windows 10? How to locate graphic properties windows 10 and How to find properties on windows 10? 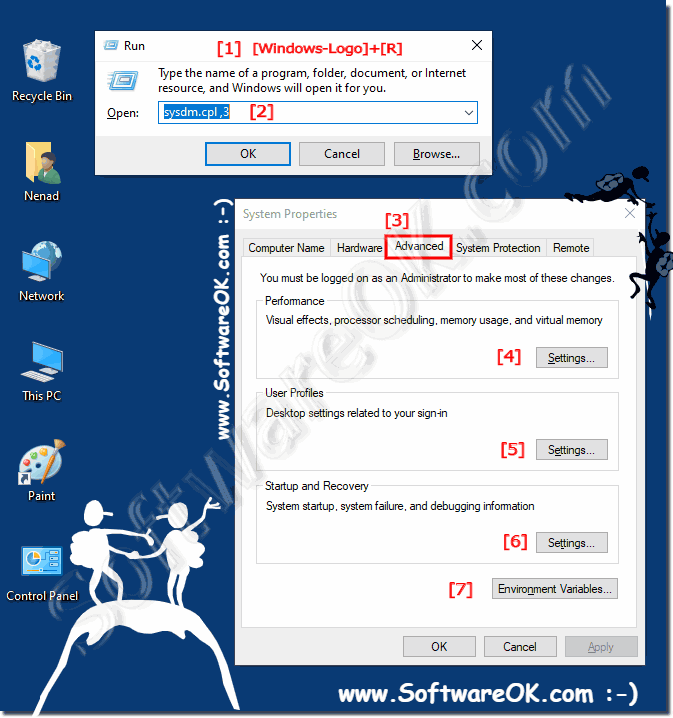 How to get system properties windows 10? How to open the [system preferences] panel on windows 10? Windows 10 Advanced Settings, and computer properties? Windows 10 advanced system settings, help Where is system settings in windows 10? How to go advance system settings on windows 10? How can get advanced option for windows 10? Advanced system settings windows 10 enterprise? Where is the advance tab of cimputer? Tablet advancem Computer Properties on Windows 10?